You’ve built your inbound marketing agency from the ground up. You’ve learned the methodology inside and out, earned your certifications, built your client base and have gained your first few retainer clients. 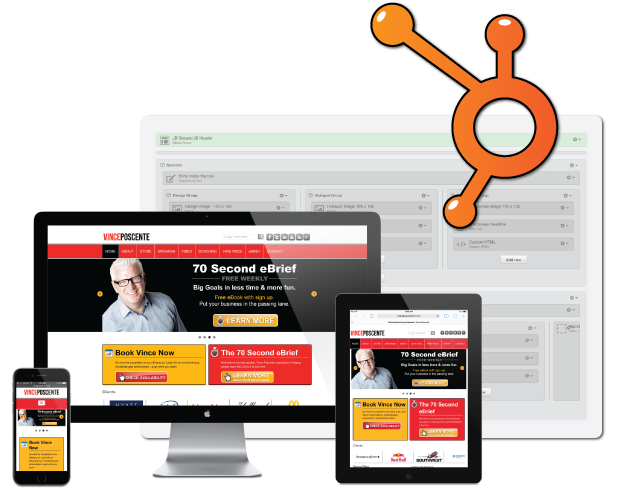 Maybe you’ve even gotten a handle on designing client websites within the HubSpot environment. Everything is moving along just as you had imagined…up and to the right. That is, everything but your time. We understand that your opportunity to bring the most value to your clients, and your own business, is not likely realized by spending your limited time creating another landing page or completing another redesign. Your focus is on delivering results. Once you have diligently crafted your client’s copy, created compelling offers and fully optimized their funnels to take advantage of how inbound marketing works. Doesn't it make sense to do the same with your design? We have spent our time focused on learning what works and what works better when your modern day marketing efforts are paired with design elements that help to gently guide your client’s visitors in the desired direction. Our goal is to become your go-to HubSpot design partner, freeing you up to build your retainer business and see to it that your clients are getting the best results you can deliver. We would love to talk over how we might be able to help. We can create a brand new website or help with your existing site's migration to the HubSpot COS.
Have a site on the HubSpot COS, but the time has come to make some changes?